Sell Your House Fast in Fayetteville! We buy properties in Fayetteville and surrounding areas! 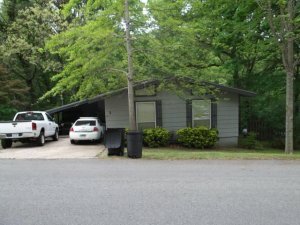 Need to sell your house in Fayetteville? Any condition and any situation we will pay CASH for it! And we will close the deal the quickest and most convenient way! Need a quick solution to your real estate needs? Unwanted properties or can’t afford repairs on a property? Any situations and any conditions we will pay CASH for your property, we can close as quick as 7 days or sooner. No fees, no commissions and we also cover closing costs! You don’t have to even worry about cleaning your house in Fayetteville, we will buy the property “AS IS” without you having to spend any money on it. Heck, we will even clean it ourselves, all you have to do it to complete our form below and send the information back to us so that we can start working on creating a fair cash offer for you. At PDQOffer we do things differently, we are not realtors, we are local home buyers looking to give you a quick and easy solution to your current need. You don’t need to list for a long time to sell your property in Fayetteville.